Raury protested on their runway while Miley's brother is now BANNED from D&G. Luxury fashion house, Dolce & Gabbana are not afraid to court controversy. Following their widely condemned statements on gay parenthood and their willingness to dress first lady Melania Trump, D&G released a $245 "Boycott Dolce & Gabbana" t-shirt. The designers explained that it was meant to poke fun at the outrage over their controversial positions, but others have criticized the brand for its tone deaf response. Singer-songwriter Raury shocked many this week when he protested D&G's recent actions while on the runway modelling for the brand. In an interview with GQ, Raury says that he wasn't aware of D&G's politics before he signed up to walk in their fashion show. The day before he was meant to walk, Raury looked up Dolce and Gabbana's past and decided he could not be complicit in what they were doing. During the fashion show Raury took off the hoodie he was modelling to reveal the words "protest" and "not your scapegoat". 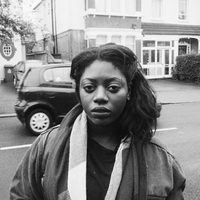 He remarked on Instagram that he'd "never felt so alone, so terrified, yet so alive". Raury explained to GQ that he believes in boycotts and protest as a forum for the people and that D&G are wrong for trivializing that. Raury also says that after realizing that there was a Trump connection, he knew he could not be a part of the show. 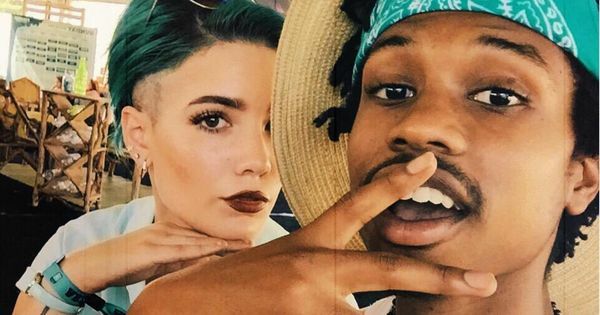 Halsey lent her support to Raury, writing on Instagram that she was proud of the musician for using his voice. "Always speaking his mind always a warrior @raury you are so inspiring. I couldn't have screamed "YES" any louder when I caught wind of this. Thank you for always using your platform to speak for the marginalized, and for what you believe in. You're a brave, badass, Raur. Do the damn thing." Raury and Halsey aren't the only ones to speak up about Dolce and Gabbana's politics. The fashion house have vowed to never work with Miley Cyrus' brother again after taking offense to her criticism of their brand. "I STRONGLY disagree with your politics...." wrote Miley on Instagram. "But I do support your company's effort to celebrate young artists & give them the platform to shine their light for all to see!" Dolce and Gabbana responded in Miley's Instagram comments, confirming that they would not be working with Braison Cyrus in the future.